Alison said: “It was truly beautiful. I've never seen anything quite like it.! You have to agree, it’s a cirrusly amazing sight! 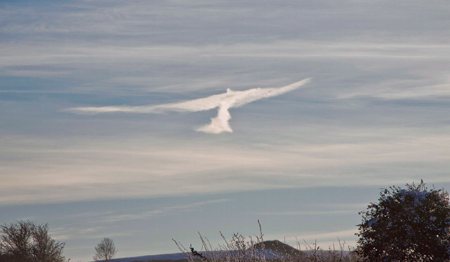 Posted in angel clouds, Uncategorized, unusual angel clouds. Medical Sceptics Believe Guardian Angel Saved A Child From Certain Death.